This is a very good Biotechnology final year project on "Study of Peroxidase, Proline and SDS PAGE under stress". This study was done with the supporting experiment and result. 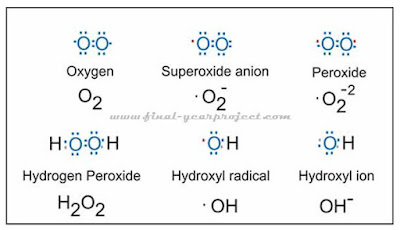 "Reactive oxygen species (ROS)" are highly reactive ions and “free radicals” (chemicals containing atoms with an unpaired electron in its outer orbit) involving oxygen molecules include oxygen ions and peroxides. Reactive Oxygen Species (ROS) have long been known to be a component of the killing response of immune cells to microbial invasion. ROS form as a natural byproduct of the normal metabolism of oxygen and have important roles in cell signaling and homeostasis, cell cycling. ROS play an important signaling role in plants controlling processes such as growth, development, response to biotic and abiotic environmental stimuli, and programmed cell death. 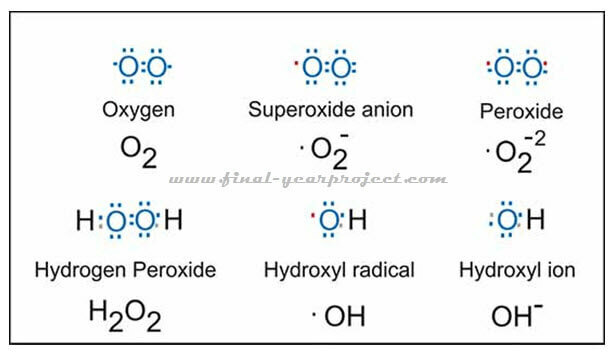 These are small molecules having unpaired valance shell electrons and are produced continuously as byproduct of various physiological metabolic pathways, such as photosynthesis, photorespiration and CO2 assimilation. The result obtain from the experiments are showing the effect of stress on plant growth by germination the maximum germination was obtain at 100 mM Nacl and lesser on 300 mM Nacl. The salt concentration inhibit the germination of seeds due to high osmotic pressure and enzymatic inhibition because water is not available to the seed. The SDS PAGE result showing more protein expression in salinity & stress condition as compare to control. Plant in stress condition protein expression is increased due to high metabolism & rescue mechanism of plant cell. Use this project report for your reference and study and thanks to author for this project. Do not forget to subscribe to FINAL YEAR PROJECT'S by Email for more such projects and seminar.